The lamps lights up when people come close to its sensing range. The lamps will shut off within the off delay time when people leave beyond the sensing distance. 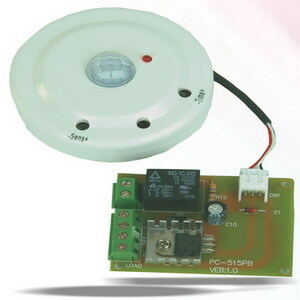 It is very energy-saving, convenient and safe..
Voltage is DC24V and it can apply on the apparatus and alarm. Two control systems - one for light and one can send message. 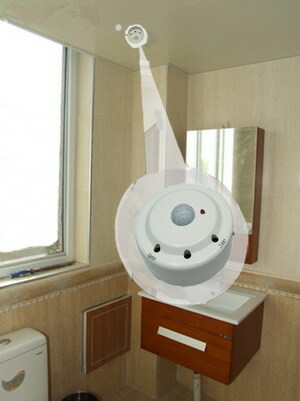 Time and distance can be set and it can be installed on the wall and the ceiling. Application: trailer, apparatus, alarm and movable toilet. Light flashes 3 times after been electrified. Turn (-): about 6 seconds. Turn (+): about 270 seconds. 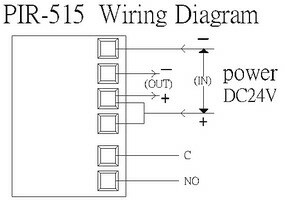 Turn (-): short sensing distance. 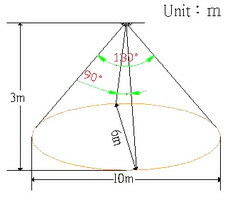 Turn (+): long sensing distance.